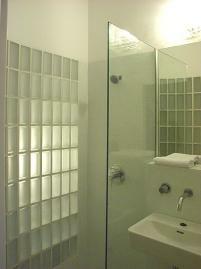 The bathroom is tiled in glass mosaic tiles with a beautiful shower! Expensive fixtures to the highest European standard. The bathroom comes with two towels per person and is equipped with a towel warmer.